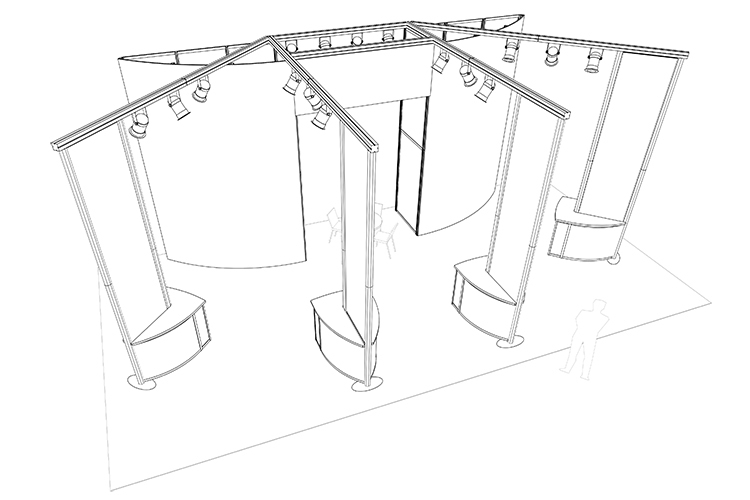 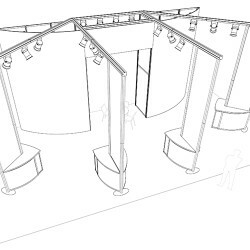 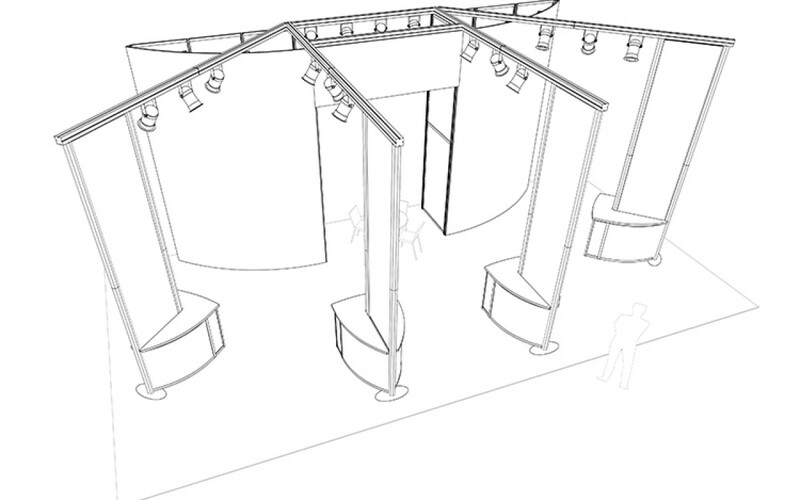 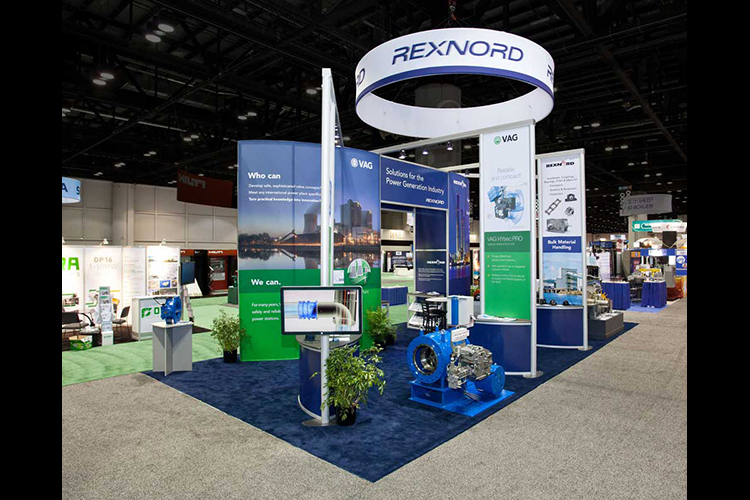 A custom modular exhibit with impactful product kiosks. 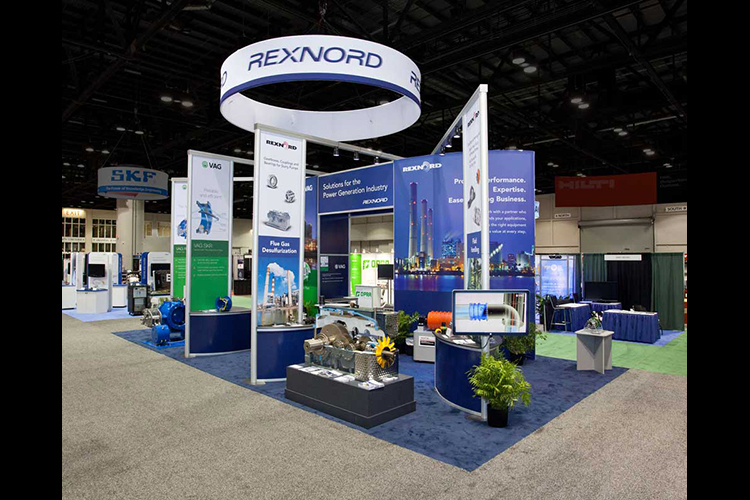 This Rexnord 20' x 40' exhibit at the PowerGen Show is a great design that utilizes the space with curved graphic walls and tall, impactful product kiosks. These kiosks feature branded graphics, monitors and a demonstration area to show off the products to attendees. 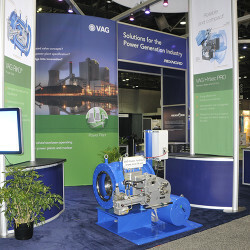 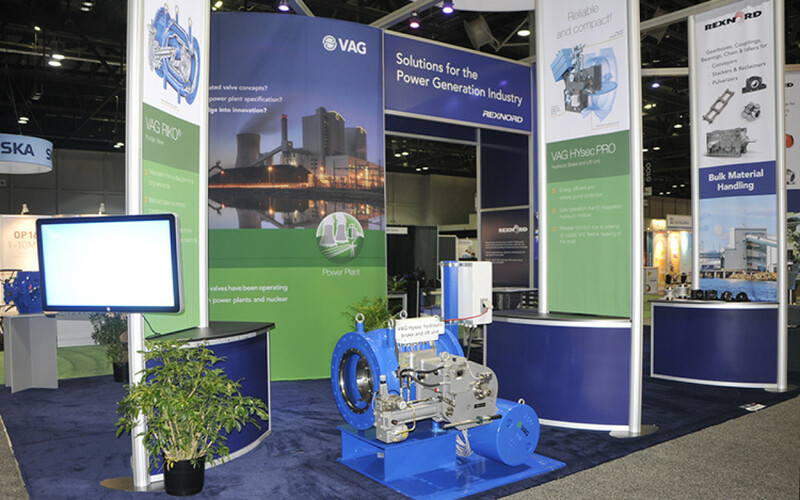 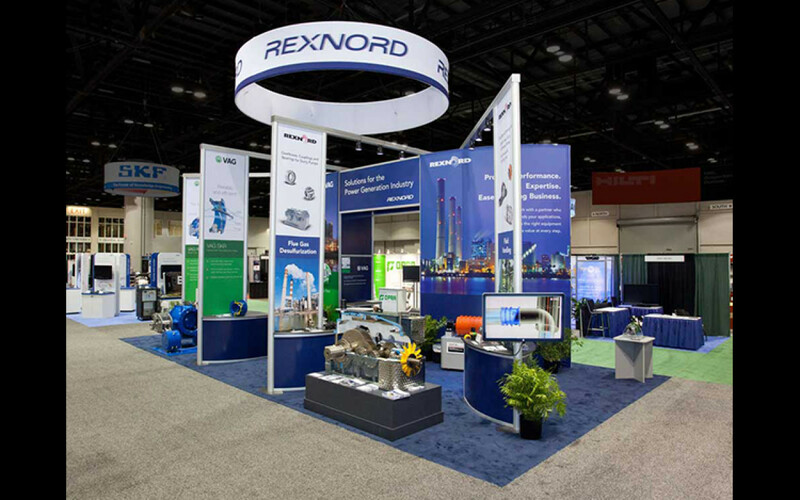 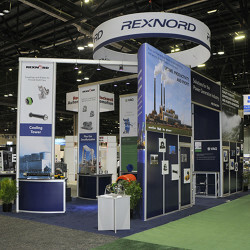 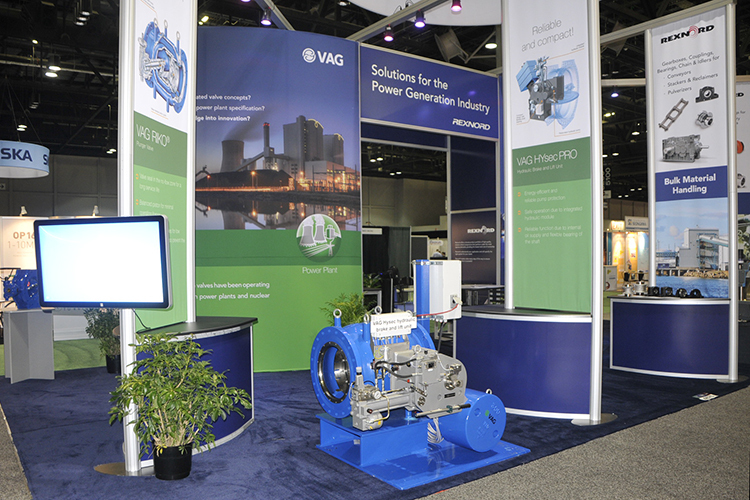 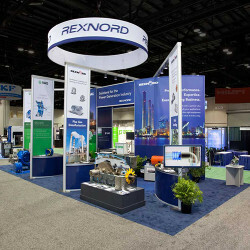 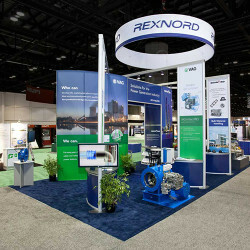 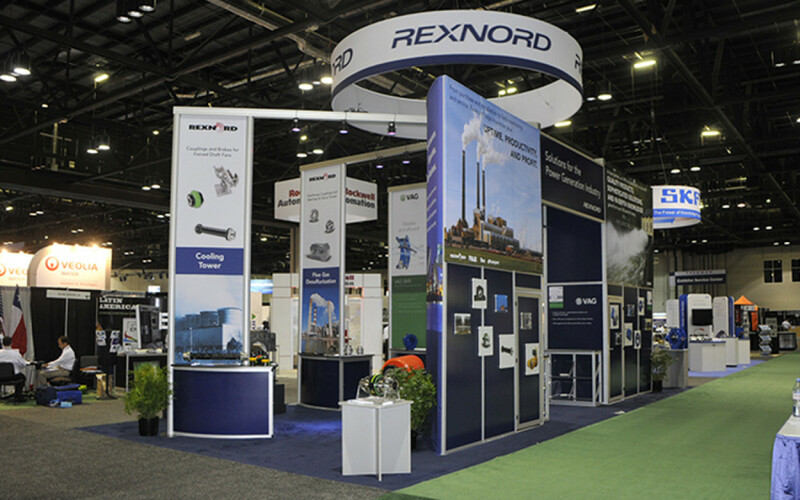 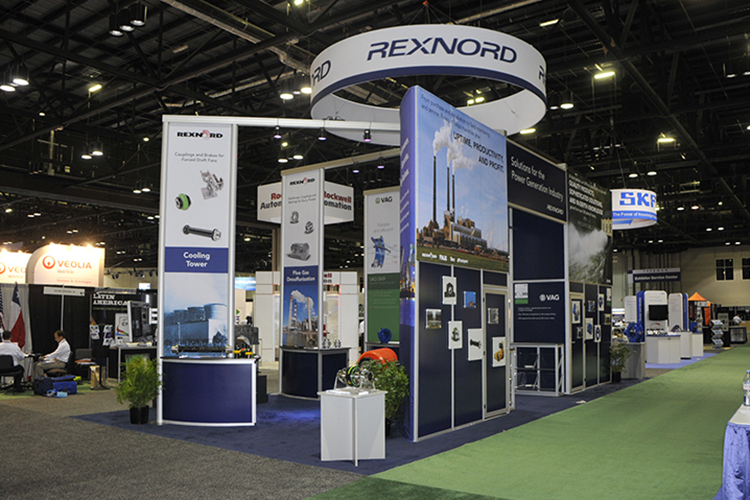 Larger products were displayed on custom built pedestals, and a large rotating hanging sign made it easy for attendees to find the Rexnord booth.